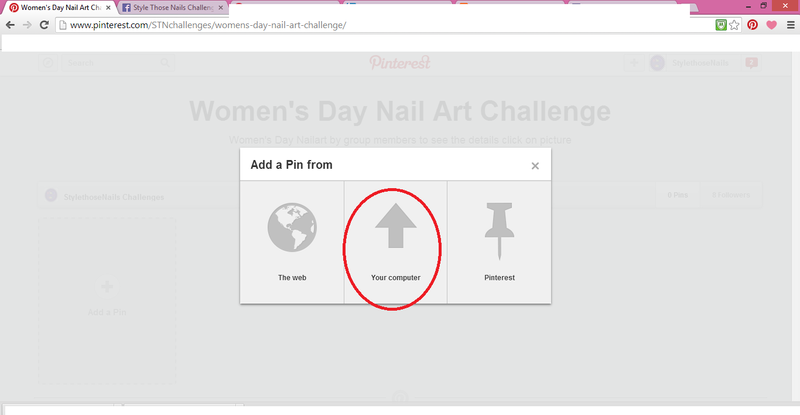 Style Those Nails: How to pin your facebook and Instagram pictures on your pinterest board? 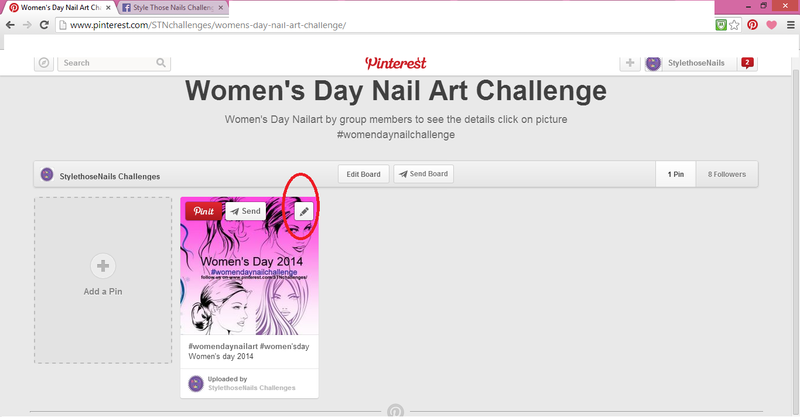 How to pin your facebook and Instagram pictures on your pinterest board? 1- First thing first upload your picture on your facebook/instagram or any site you use ! 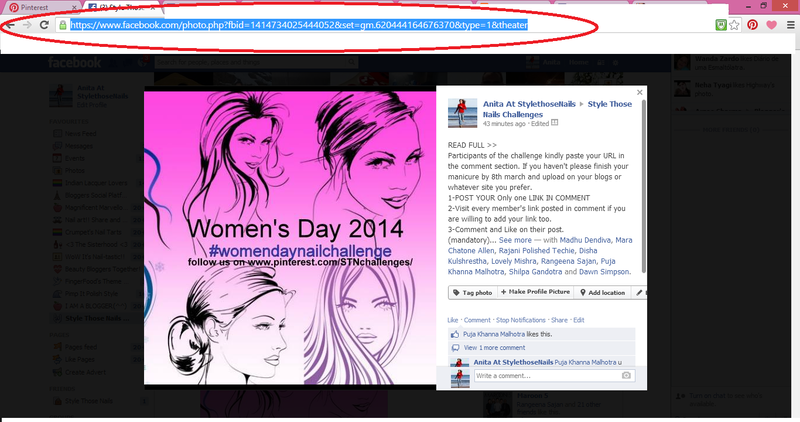 Now Click on the picture and highlight it's URL in the browser. 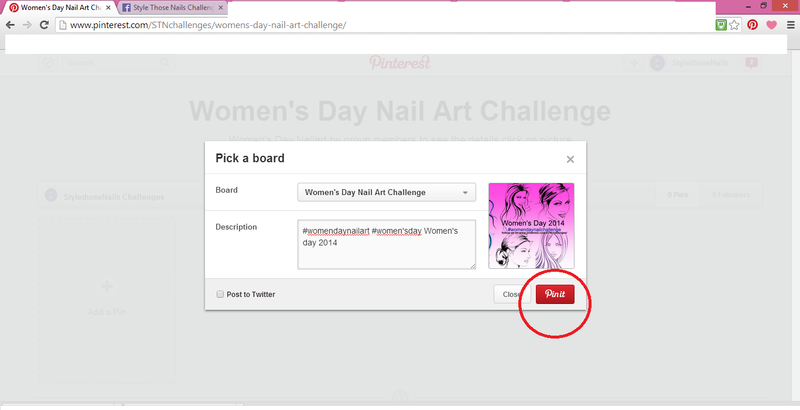 Now open your pinterest account on another TAB or WINDOW . Go to the board and click on add pin. If you don't have a board MAKE ONE . 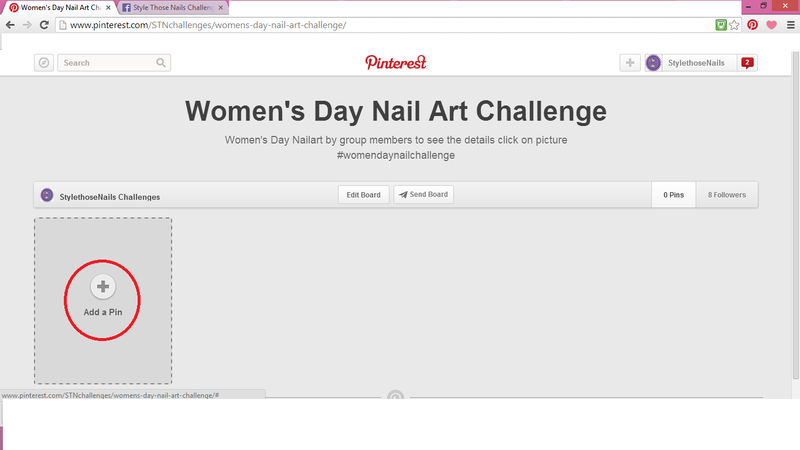 Now Upload the same picture on pinterest board via computer. Add discription if you want and save it. Now go back to the same picture and select EDIT option. You will see a new window and also a new option SOURCE. Now on to the SOURCE add the URL of your picture you highlighted in step 1. 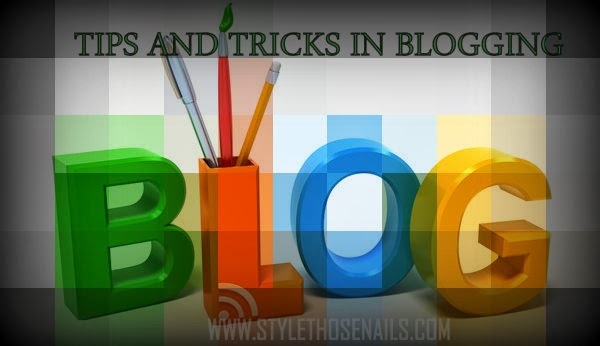 You can do this by ctrl+C copy and ctrl+V pasting the URL . 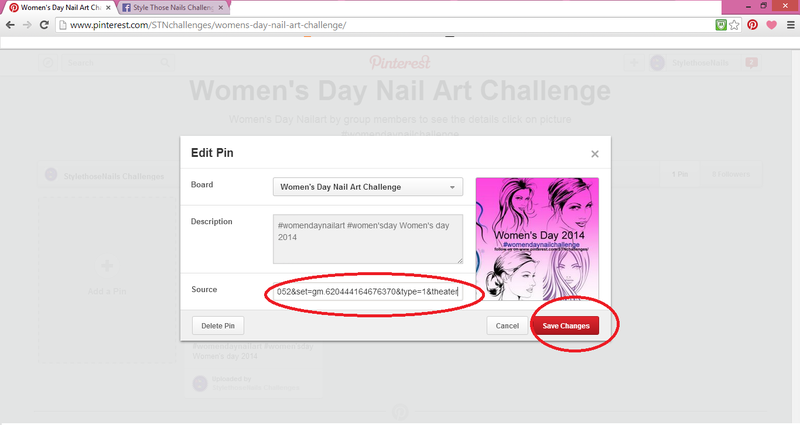 Now click on the pic on pinterest if it takes you to your Social Site where you have uploaded it first. You did it right if not then delete this PIN and try again following all steps carefully. Still need help......... contact me via facebook ! !